Is organized consistent with the Mission Statement, Bylaws, and the purposes of this body. Agrees to collect dues (national and local), and submit reports to this body." This is intentionally simple, so that each constituent council, now known as a local chapter, will create the structure that is appropriate to its needs and local purpose. 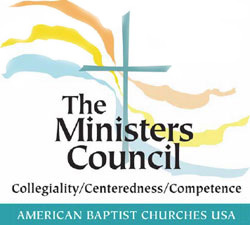 The Ministers Council is the way in which professional church leaders can seek to have an impact on their denomination. The local program of the Ministers Council is shaped by and for the clergy in that particular area. The Council is a vehicle by which the professional church leaders can take some control of their professional lives, moving towards growth, support, and encouragement. 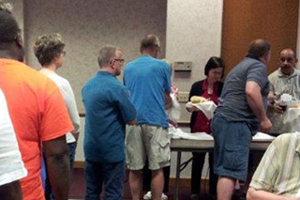 While local clergy groups can meet these same needs, being a part of the Ministers Council Chapter makes resources available and provides a vehicle to come together to support common causes. Through the network of the Ministers Council, a local chapter can find ideas and support from other colleagues in ministry around the ABC. The Ministers Council is the recognized representative of those in professional leadership in the ABC. When the ABC seeks the opinion of clergy, they turn to the Ministers Council. Thus the Ministers Council is organization that advocates for and increases the impact of clergy within the ABC. Rev. Jacki Belie is the Coordinator of Membership and Chapter Development. Contact her at jacki@livingwellministries.net for support in starting or reactivating your chapter.